Okay, we need to warn you before you start seeing these slow cooker desserts. Have a towel ready because your mouth might literally start watering. If you’re like most people, including ourselves, you LOVE a good dessert. These slow cooker desserts are simple, easy, and the calories don’t count. Well, unfortunately, the calories do count, but they are well worth it. 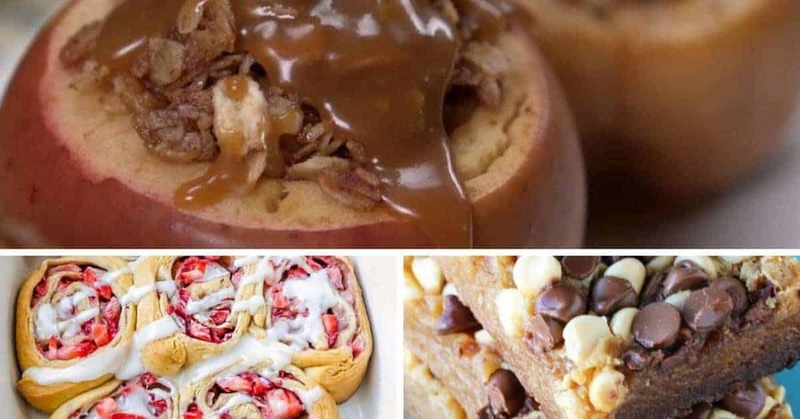 Below we have found the best slow cooker dessert recipes we could find. Whether you like apples, coconut, or even fudge this list has it all. Follow us on Pinterest for more dessert ideas! The only words that come to mind when seeing this apple crisp are “Lord have mercy”. I am an absolute sucker for a delicious apple crisp. Topped with vanilla ice-cream and it is my favorite dessert of all time. This is saying a lot since my sister once used salt instead of sugar to make this dessert. You could say the first bit was quite the surprise. You had me at the peanut butter and chocolate combination. 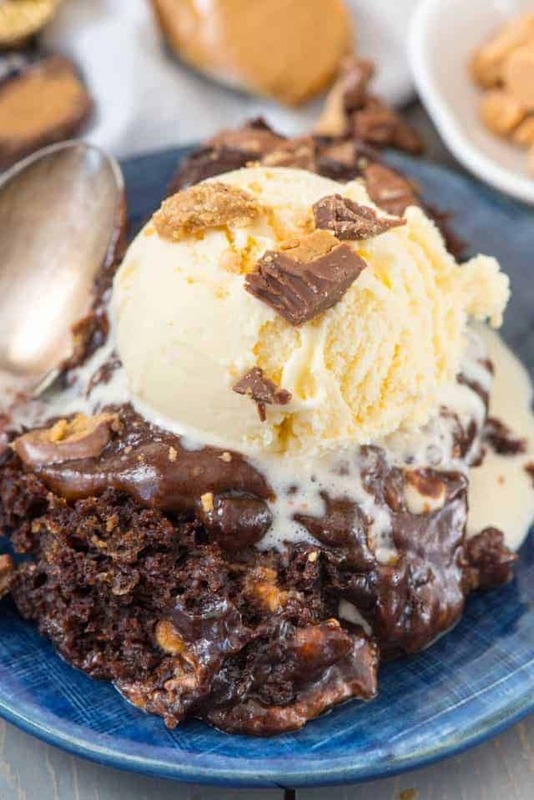 This slow cooker brownie pudding looks absolutely incredible. I bet it tastes just as good as it looks. Very similar to monkey bread which we have every Christmas morning. We plan on giving the slow cooker version a try this year. You can’t go wrong with bread, cinnamon, and icing. A very different type of pie and not meant for everyone. 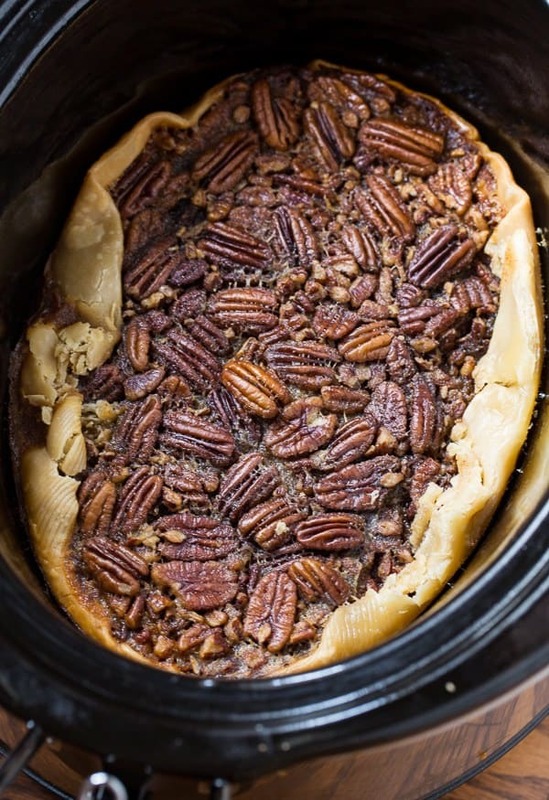 But those who like pecan pie this recipe is you for! Simple and easy to make with plenty to feed the entire family. Hold on a second… sorry just had to pick up my jaw. These look BOMB! 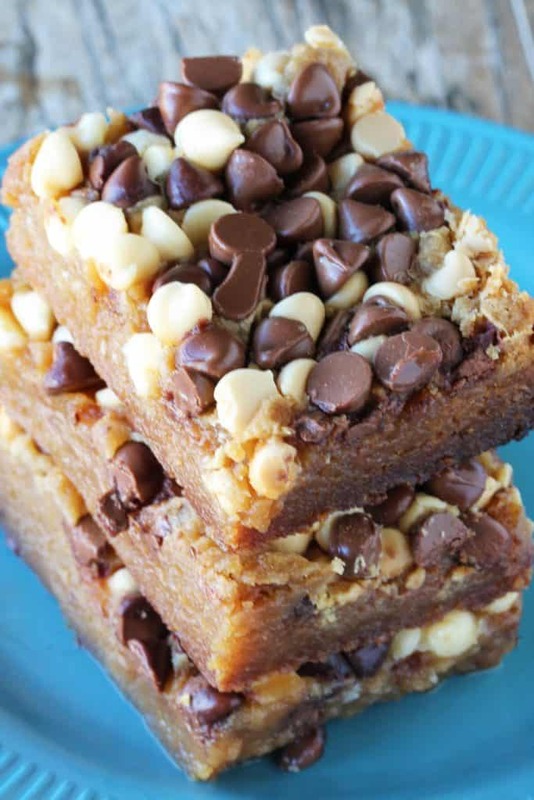 These savory dessert bars might be the easiest dessert to make on this list. We have a friend who makes these for our cookouts every summer and they are gone VERY quickly. 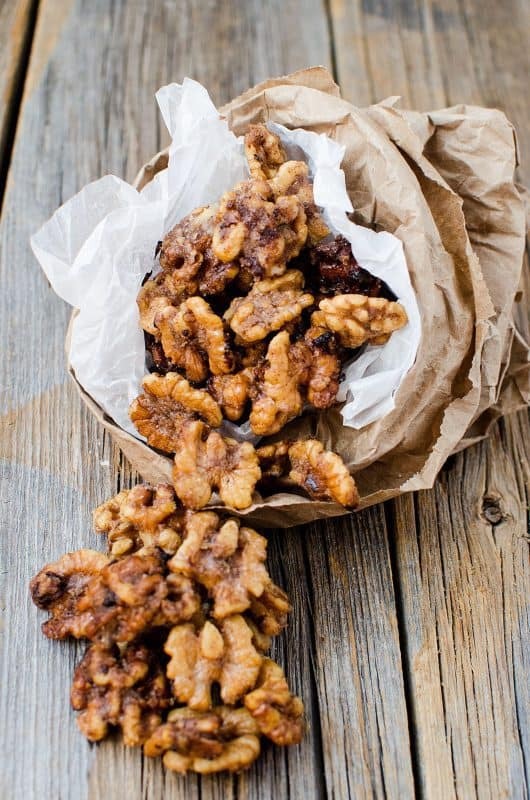 When was the last time you went to a fair and picked up some sugarcoated walnuts? Probably way too long ago. Well, now you don’t have to go to a fair to get your fix. 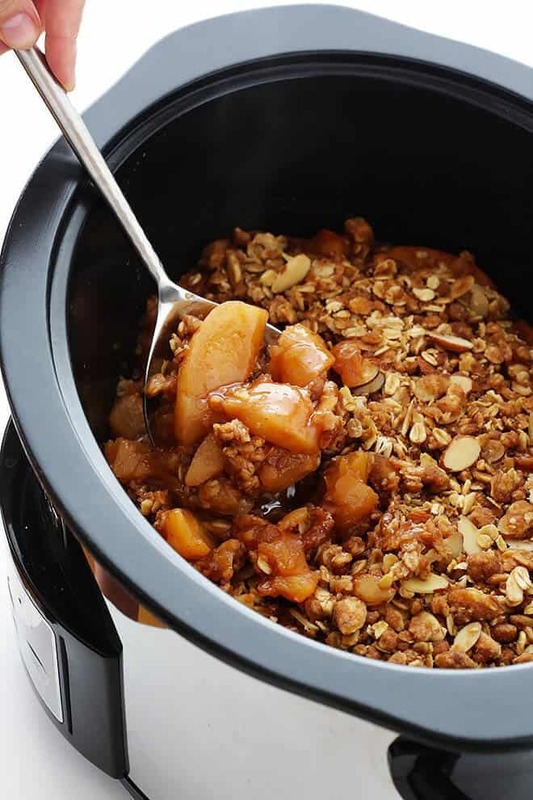 Awesome slow cooker recipe by Tammilee Tips. 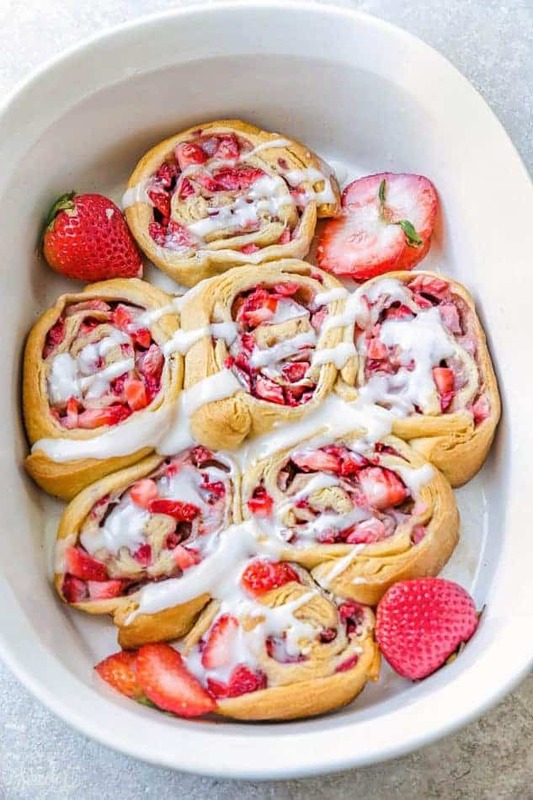 These strawberry cinnamon rolls are to die for. With only a few ingredients this dessert is easy to make and will impress your whole family. It’s healthy because it has fruit in it….right? Reeses is one of the most famous candies in the world. The natural thing to do is to add them to every dessert you make. Or create your very own homemade Reeses cake. Apple has made the list again. What a unique way to have apple crisp. Picture yourself bitting into one of these soft warm apples straight out of the oven. You might start floating to heaven so be careful. Pineapple and coconut are one of the most delicious combinations ever. 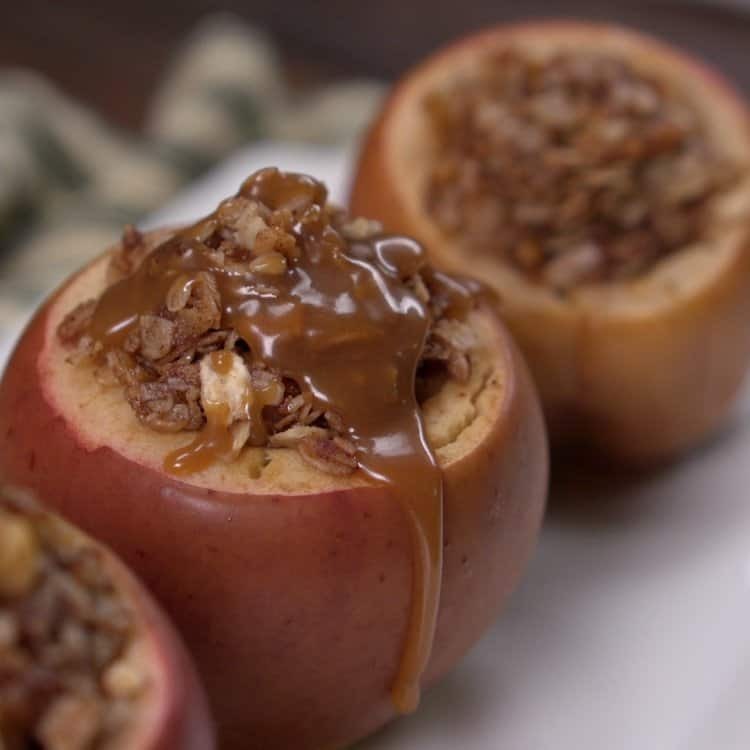 Bust out your crockpot in the middle of winter and make this dessert. You will feel like you are sitting on the beach in Cabo. Were you able to actually read through this list without having your mouth water? 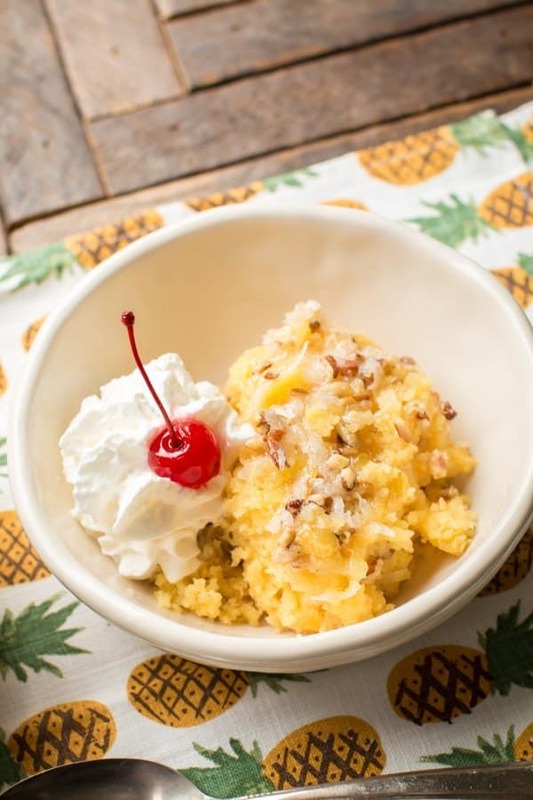 I seriously can’t wait to start making some of these slow cooker dessert recipes as the holiday season is upon us. I think we can all agree that the best part of slow cooker desserts is the simplicity and easy cleanup.